We, Maria Nymfiadi & Lea Petrou, share a common interest on recipe making, cooking process and food sharing as art practice, which numerous times concluded to collaborative projects. In the past, the results of the dialogue between us lead to a two-in-one recipe, where we both were finally represented as an ingredient. 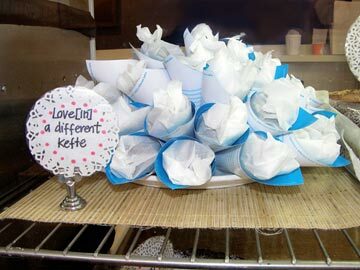 For the Love Difference pastries call, we propose a pastry that deals with a relational dosage of proximity, using the kilometric distance between our location (Athens) and each capital of the Mediterranean countries. The dosage of each ingredient derives from the kilometric distance each capital has from Athens. A mixture of dried nuts and dried fruits is selected to represent each one of the 19 countries around the Mediterranean Sea, according to each country’s cuisine. The further in kilometres each capital is from Athens, the more quantity of the specific ingredient is used in the recipe. Our proposed pastry is based on the interrelationships amongst Mediterranean cultures and cuisines. It specifies on the ingredients’ selection, it blends all ingredients in one, round form and suggests proximity relatively opposite to the geographic distance of the cities. Finally, in a mouthful we tried to experience the taste of all ingredients / cultures separately and together. 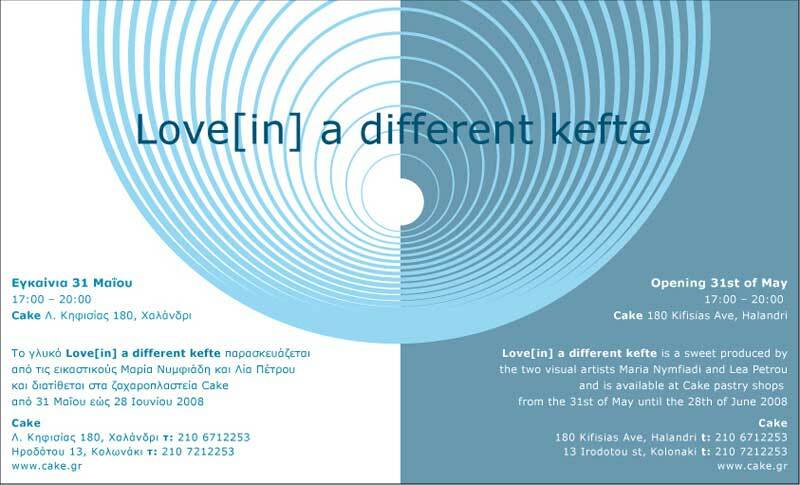 Lea Petrou and Maria Nymfiadi are selling their Love [in] a differente Kefte at the two pastry shops "Cake" in Athens. The opening will be on Saturday 31st of May. :: Crumble all the nuts, cut the fruits in really small pieces. Use a food processor to blend the nut crumbles and fruits pieces. Add the juices in order to make a soft mixture. :: Work the mix into a metal bowl with a wooden spoon and finally roll the mixture into small balls with your hands. :: Put the chocolate into a dry, heatproof bowl and set over a saucepan of steaming but not boiling water. 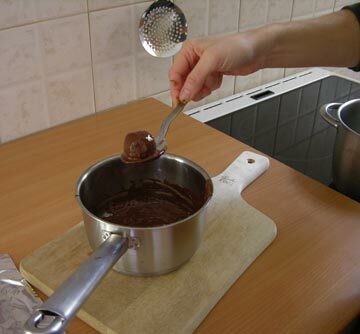 When the chocolate is melt evenly, briefly dip each ball into the chocolate until coated. Place the balls on a non-stick baking sheet, let cool for a while then place them into the refrigerator to set until ready to serve. Maria Nymfiadi. Lives and works in Athens. Studied sculpture in the Athens School of Fine Arts, photography in Hogeschool voor de Künsten in Utrecht Holland and postgraduate studies in Central Saint Martins London. She has participated in several exhibitions and group projects. Currently she is elaborating projects around the process concerning the creation of an artwork and the dynamic of collaborations. She is also a furniture designer. Lea Petrou. Lives and works in Athens. She studied at Chelsea College of Art and Design, Central St. Martins College of Art and the Royal College of Art in London. She has been an artist – in residence at CCA Kitakyushu and Cite International des Arts Paris. 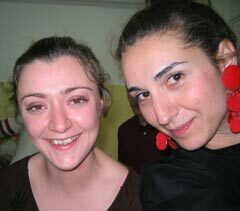 She has been participating at group exhibitions and projects in Greece and abroad. Her artwork is an attempt to approach different ways of reading and encountering reality and deals with interpretations that get defined geographically, like the understanding we have concerning time, movement and speech.